Discussion in 'Visual Arts' started by 5th-beatle, Jul 24, 2017. I don’t think they have to resurrect characters in the MCU. You have to write a lot more comic books than movies. If they kill off Cap, they could leave him dead in the MCU. Yes I agree. They will die and stay dead. They could have a new Iron Man/Woman or a new Captain America but it won't be Stark or Rodgers. It wouldn't be believable and make any sense like it does in the comics. And they have enough characters for years, I can't see them even rebooting the universe for decades. Luke The Drifter likes this. Frankly, I wonder if the whole Fantastic Four thing is just too long in the tooth to be made into a credible story today. They've tried it twice now and both attempts have been pretty lousy - I saw the first movie and it was the worst superhero movie I'd ever seen. The Silver Surfer sequel was pretty much a flop and the reboot attempt was DOA. Perhaps the whole concept is just too obviously pre-Moon Landing to translate into a modern context. There must be something really off about it, or they'd have made it the center of the MCU as it was for the original Marvel Comics. Have to disagree as it does work incredibly well in the Incredibles - the family unit with the same powers. It can work in the Marvel universe - look at the last Thor film, or the Guardians. If they work so well there is no reason the FF can't work. The last film was a trainwreck for several reasons and the previous two suffered from plot and casting issues and they got the tone all wrong. It's not that the basic premise is problematic it's just they haven't executed it well. No, I'm talking about the Andrew Garfield films, which did OK but not what Sony Pictures hoped for. This is what led Sony (and then-studio chief Amy Pascal) to pursue forging a deal that would give Marvel creative control of the Spiderman movies, gambling that a 50% share of a hit picture was better than 100% of a marginal one. It remains to be seen whether Fantastic Four could be a hit, but I would never underestimate Marvel at this point. Yes, I know you were referring to the Andrew Garfield movies. I'm just saying that before there was Andrew Garfield, there was Tobey Maguire, and those movies were really spectacularly successful, which kinda makes it reasonable that even though the Garfield movies were disappointing, it was logical to reboot Spider-man yet again. It was already proven that Spider-man was a hot movie property. Fantastic Four didn't do that well in either boot attempt, which makes me suspect that they may not try that again, even if Marvel did get creative control. It's certainly not impossible of course. It can work in the Marvel universe - look at the last Thor film, or the Guardians. If they work so well there is no reason the F2F can't work. Powers don't make the story though. It's an interesting detail that both units have similar powers but that's no guarantee of a successful franchise. My point is not that it can't be done well, but that it seems doubtful to me that they will attempt it a third time. I could be wrong. We'll see. Given that the FF was the first modern Marvel comic and so important in historical terms i think they owe it to everyone to do it right. Phase 4 could be Phase (Fantastic) 4. I don't think any of it is supposed to be believable! No way they're killing off some of the most recognisable (and marketable) characters in the MCU. Yeah, I just watched IW with my kids again this weekend and it occurred to me that even characters like Gamora who were killed outside of the partial extinction event can probably be brought back to life. All that needs to happen is for one of the good guys to get ahold of the glove. At the end of the movie Thanos doesn't have it anymore so it's probably out there somewhere. Anyway, we know there's going to be another Guardians Of The Galaxy movie, and are they really going to do that without Gamora? Seems unlikely. Now maybe, just maybe, the solution to defeating Thanos and setting everything right may involve one of the old guard like Iron Man or Captain America getting the snuff, but c'mon, really? Iron Man has been the anchor of the whole franchise, and I believe that Robert Downey Jr. has said that he can keep playing the role into his 70's seeing as all the "stunt work" is CGI. And how miserable would it be to kill Captain America? Sure, there's precedent, but I don't think it'll play well with test audiences. If they REALLY wanted to get gritty and realistic, they'd leave all the departed characters dead and just have the remaining Avengers, well, avenge them, and then rebuild the team with new characters. But that's the unlikeliest scenario of all. Fantastic Four : Mr Fantastic is a bit boring ..stretchy super power. Invisible Woman ..( yeah Jessica Alba hot)but, invisible power..nah, only The Thing and The Human Torch could maybe make into The Avengers. Been revisiting the 'First Avenger' recently. I like the period where it's set more so than the rest of the series. But how did they make Chris Evans so puny for the first part? Was he CGI'd down for the early part of the film? We will see! I think they are. 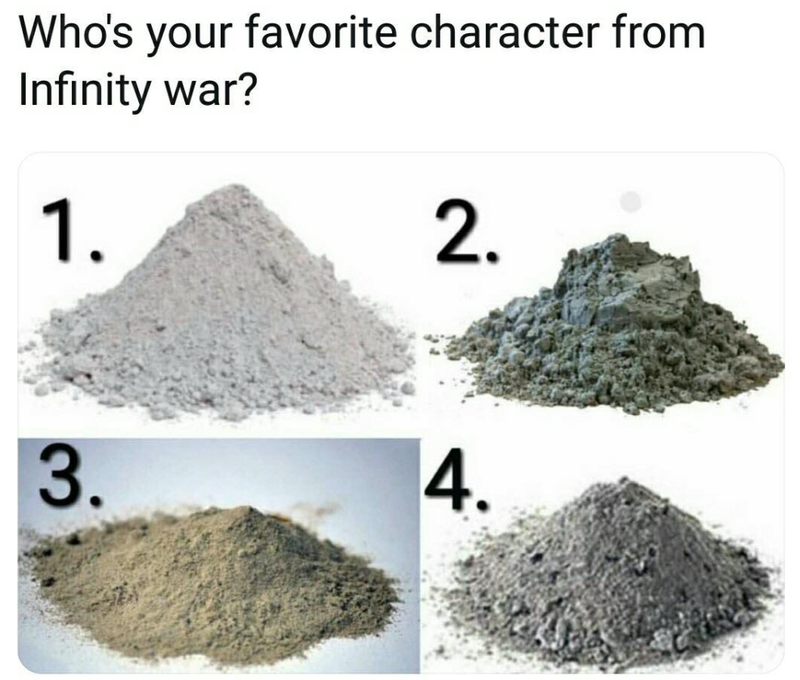 Not the ones killed in the snap but I think a few of the survivors will sacrifice themselves in order to undo what Thanos did. That is precisely why the likes of Iron Man and Cap didn't disappear in the snap, it is so they can go out on a high saving the others in the next film. I think it's nailed on. you can Google the answer, it's not a big secret. If I googled all the time I wouldn't be here. Been revisiting the 'First Avenger' recently. I like the period where it's set more so than the rest of the series. But how did they make Chris Evans so puny for the first part? Was he CGI'd down for the early part of the film? Lots of very interesting VFX on that show. Basically, they pasted Chris Evans' face on a puny guy's body for the earlier parts of the movie. Extraordinarily good work, particularly when you consider that the stand-in was nearly a foot shorter than he was. Simon A, Quadboy and alexpop like this. Prefer the first part of the film( ha Stark/flying car). Red Skull could have been a lot scarier.Liked his cameo in Avengers Infinity War. I'm guessing Hawkeye makes a big appearance in the next movie similar to the time he basically single-handedly saved the team from the Collector. I also think the next movie Cap will be Cap. I don't think they will really kill anybody off in the end. I expect in the short term there to be no more Iron Man or Cap in the next few movies but would completely expect to see them both down the road even as cameos. Captain Marvel (or really Ms. Marvel/Warbird) isn't going to have the same marquee appeal that Marvel's biggest heroes have. In fact, with the latest developments concerning Fox, I would think that there will probably be a push to focus more on integrating X-Men and the Fantastic Four. Or at least bringing in some of those villains (especially Dr. Doom). We'll see. It should be interesting. Going off on a tangent... but I would love for the next movie to end with the time stone opening a rift in time and out pops the Fantastic Four direct from 1961! Make them adventurers from an alternate earth reality and don't modernize them at all. I would love a Fantastic Four movie taking place in 1961. I always hoped that a Spider-Man reboot would take place in the 1960's. Luke The Drifter, ampmods and alexpop like this. I'll admit it's one of the reason I thought X-Men: First Class worked better than its predecessors (the fact it had a better script and direction also helped obviously). Of course, by doing this, it would then complicate adding the F4 to an Avengers film set present days. (Infinity II) untitled Avengers movie in post production April,2019. Apart from Captain Marvel, Wasp, Hawkeye,Janet Van Dyne,Ant Man + some of the usual gang expected to appear in it Russo brothers say it could be over 3 hours long. Marvel has 20 more films planned after this. Captain Marvel also out in 2019. Features Jude Law ( as Mar-Vell)& Samuel L. Jackson, Brie Larson. Sammy Banderas, dkmonroe, Olompali and 8 others like this. Chris Evans calls it a wrap - thanks for the memories. Evans on Thursday tweeted that his last shooting day on Avengers 4 was an "emotional day." The 37-year-old actor thanked his colleagues and fans for his eight years as Captain American, saying it "has been an honour." Evans first joined the Marvel cast in 2010. He has starred in three Captain America films, including 2016's Captain America: Civil War, as well as numerous team-up films. alexpop and BeatleJWOL like this. Not necessarily. Post-credits scene, another mission for the Fantastic Four, enter wormhole, time travel shenanigans, boom, future F4. Would be a nice nod to the Captain America time travel of sorts (especially since Evans is done) and I've always thought that if they're doing a retro take on the characters, lots of nods to questionable 50s and 60s sci-fi films would be in order. Ant-Man and the Wasp: media Blu Ray out October 16th 2018. Be interesting to see how Ant Man gets involved in Avengers 4. In the books, the Falcon and the Winter Soldier have both had lengthy runs as Cap whenever he's been out of the picture. It'll be interesting to see if they get a NEW Steve Rogers or if they give one of the cinematic guys a shot. Frankly, I don't think either of them will succeed as a successor. Maybe in the team flicks but I don't see either one carrying a solo project. Anthony Mackie's got skills but I don't see a star/leading man. My guess is that they'll try to soldier on without him but eventually, there WILL be a new Steve Rogers! I hope they pull up a dump truck full of cash to Chris Evans' his house and convince him to stay. I don't want some new Cap, Cap Jr, Bucky Cap, or Captain Globalist. There's only one Steve Rogers. He needs a shave, a clean suit, and his shield. If he's going out at least let him go out in honor in Avengers 4, in full Captain America gear. superstar19, Spitfire and dkmonroe like this.